Increasingly, business leaders are diving into the technological revolution represented by the IOT. Ten years ago, it would have been strange to stand alone in a room and tell that someone named "Alexa" to order pizza -- but today, most of us take in stride the virtual assistance that AI provides. With the Internet of Things (IOT), consumers can now take on impossible tasks with ease. Answering the front door from a beach hundreds of miles away is easy; feeding the dog during a long night at the office requires only a few quick taps on a smartphone. With all of the feats it makes possible, IOT tech has developed a reputation for redefining how ordinary consumers enjoy their at-home experience. However, smart home devices constitute only a small tip of the overall IOT iceberg. Advances in technology stand to revolutionize the business world as much as if not more as they have our personal lives. That said, while the commercial opportunities in IOT are well-hyped in the media, many corporate executives have so far been cautious, remaining on the sidelines of this developing field. Today the question remains: Is it finally time for company leaders to take part in the technological revolution and integrate the Internet of Things into business life? Or is the commercial world still too wary of IOT's strange potential to take advantage of it? What can it do for business? The primary benefit IOT provides business lies in its capacity for boosting day-to-day efficiency. These solutions use data collected from social networks, traditional media, and internal and external networks to provide actionable intelligence that empowers machines and people to optimize their behaviors. Well-integrated IOT technologies can offer company leadership valuable feedback into how a company might improve their product functionality and better their user experience, as well as streamline production processes and supply chain management. Because these solutions can process more real-time data in a set period than a human could ever hope to, they also play a crucial part in developing financial decisions by providing real-time insights into the state of the business as a whole. The actionable intelligence sourced from IOT solutions complements that from a company’s accounting systems and enterprise resource planning (ERP) and, when taken together, can provide executives with a bird’s-eye view of the venture’s state and provide insights into potentially lucrative financial strategies. The benefits that IOT solutions provide are invaluable -- however, some researchers have managed to put a number on the potential financial gain. According to a 2015 McKinsey study, IOT stands to save global businesses up to $11 trillion annually by 2025. Other experts in the field project that the technology will boost corporate profits by as much as 21 percent by 2022. Statistics like these command interest; a survey found that 45 percent of executives said that IOT-enabled manufacturing was a high or very high priority for their ventures. Interestingly, only 21 percent of those involved in the study worked directly in the manufacturing sector -- a detail which implies that the interest for IOT goes far beyond its surface capabilities. Why is IOT so underutilized? Unfortunately, interest doesn’t always equate to usage. 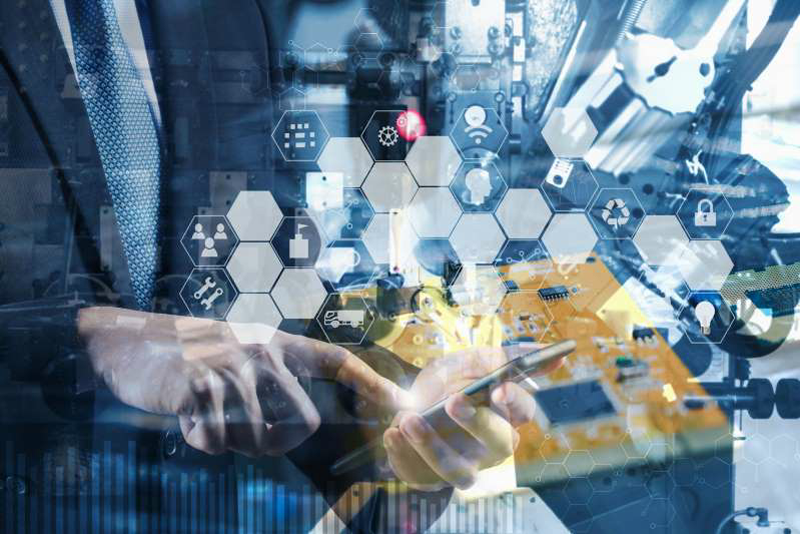 Many executives have opted to observe the IOT field as it develops rather than actively integrate the potentially valuable technology into the day-to-day workings of their business. According to a study conducted by Capgemini, fewer than “four out of 10 organizations are deploying IOT in operations at full scale.” Moreover, those that do implement IOT technology center in a few choice industries; leaders include industrial manufacturing (62 percent), retail (46 percent), and telecommunications (38 percent). Their hesitancy is understandable, even if it does hold ventures back from potential gain. According to a study put forth by Hitachi, 32 percent of surveyed companies were unable to present a compelling return on investment for integrating IOT, another 32 percent struggled to keep potential solutions secure, 31 percent saw problems with cross-departmental cooperation, and 30 percent were unable to process the influx of data effectively. For all of its promise, the Internet of Things doesn’t readily or immediately lend itself to daily use. Integration demands strategy, troubleshooting, and countless hours of work; executives will undoubtedly face growing pains. The sheer amount of work and consideration that goes into applying IOT solutions stands as a strong deterrent to those who might otherwise leap on the chance to take advantage of the technology’s potential. Does this mean businesses shouldn’t use IOT? Every step towards progress demands some heavy lifting. Businesses should not steer clear of IOT solutions because they are imperfect or because they require company leaders to overcome logistical hurdles; the potential payoff is far too high. Moreover, IOT solutions will likely become a norm in business, making integration less of a tech-forward decision and more of a necessity for keeping up with the competition. Integrating IOT technology can and should be a priority; however, companies will need to have advanced analytics and development platforms in place to handle the influx of IOT data, as well as cyber security solutions that address any vulnerabilities that IOT technology creates in a company’s day-to-day systems. As the CEO of a tech-forward steel manufacturer, I have seen the value that IOT solutions can provide to modern businesses firsthand. At Pacesetter, we’ve already taken basic steps to integrate IOT into our operations. To date, we have integrated sensors in our production lines that connect to our networks and create live dashboards for our operators. This update allowed us to optimize our reaction time and boost our understanding of our day-to-day efficiency. By analyzing data trends, we were able to determine what proactive steps we could take to improve our processes. Pacesetter is in the midst of exploring more ways to integrate technology and further optimize our operations -- and it certainly isn’t alone in doing so. Staying on the cutting edge of technology has become inarguably vital to remaining competitive in nearly every industry. One point is for certain for all: the advances we see today are only a hint of what could benefit businesses in the future. Finance Magazine: Is Your Business Ready for the Internet of Things?